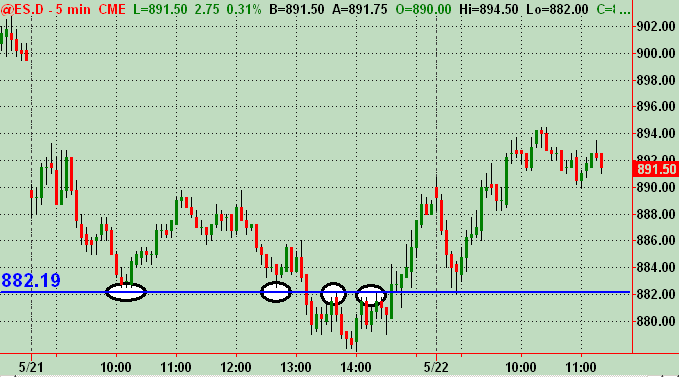 still no 30 minute close above the RTH of thursday...so that isn't good for longs.......just watching now!! Hey Bruce, feel free to kill off my above posted response to you once you've seen it ... otherwise it just takes up space with that chart stuck in there ... and would detract from the thread anyway! I need to brush up on MP again to drill down more into the details and nuances ... was pretty familiar with it a number of years back. What book or online thingy have you seen as the best for application in your own trading Bruce. I've hit a number of sites and read most of the online stuff that I've been able to find. Then again, there are different interpretations for implementing it most effectively. Don't have anything really useful on it in my library. Lemme know your thoughts mister! I'm not bruce but....Mind over Markets is the best book I have read on MP. I have it all marked up and tabbed/highlighted its not even a year old and I have read it at least 30 times. Thanks Joe ... got the book on order as well as a couple of others. Much appreciated because it's been so long since I delved into MP about 10 to 15 yrs. back. I'll read mine at least 30 times too.